Artist Alex Tsander has created a piece of artwork about Nottingham-based arms company Heckler & Koch. The North Somerset-based artist is exhibiting a series of images incorporating QR codes – two-dimensional bar codes. One of the images depicts a young woman holding a H&K rifle. When decoded, the QR code in the picture yields the address of a page on the website of War Resisters’ International, which contains information about the unethical nature of H&K’s business. Once every two years, in the London Docklands, the world’s biggest arms fair takes place. 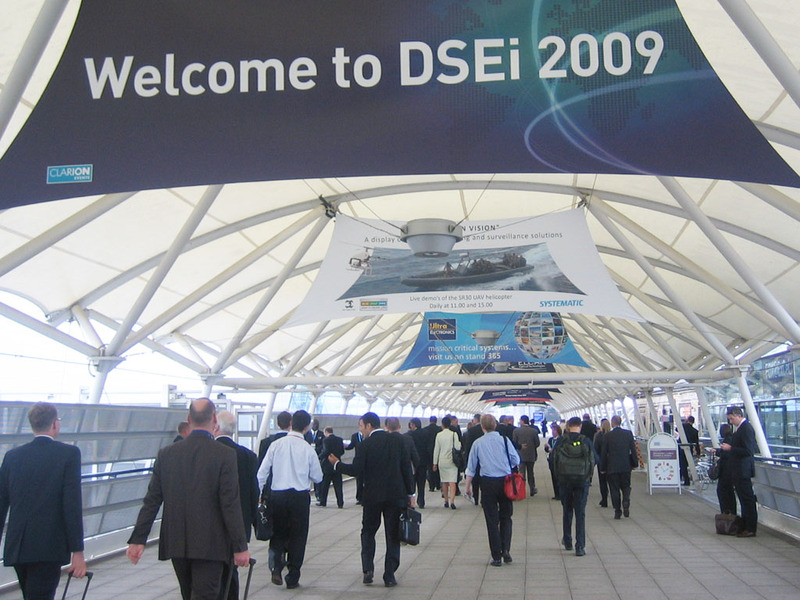 It’s spelt DSEi, it’s pronounced “Dicey”, and this year it took place from 8th-11th September. Joining over 1 000 arms companies from around the world were a couple of outfits from Nottinghamshire, catering to opposite ends of the small arms market.